Residents living along the Brightline track in West Palm Beach welcome the new quiet zones that take effect Monday night. The quiet zones have been talked about since Brightline first opened. However, it was delayed due to several factors. On Monday night at 11:59 p.m. the quiet zones will go into effect for 15th Street to the southern city limits. West Palm Beach Mayor Jeri Muoio said the change is being made to improve the quality of life for residents. 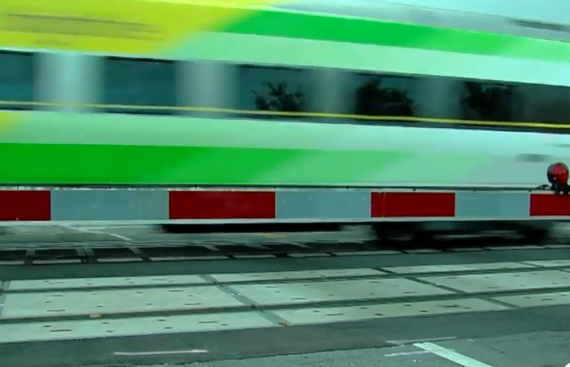 Part of the change includes adding "no train horn" signs along the route. Muoio said it's important for residents and visitors to make smart decisions near railroad tracks and crossings. At a Monday morning event, Muoio said, "Our residents have wanted the quiet zone for some time, and I'm happy to say that the time has finally come when we can implement it." The mayor said it is a quality of life issue, but the city is also launching an outreach campaign to keep people safe. She says, "I'm really concerned that people remember to be smart and safe at the crossings because they're not going to be hearing the train horns as they have in the past." To increase safety, the city put up "no train horn" signs at the 26 railroad crossings where the horns will no longer be required, in addition to other physical improvements at crossings including road delineators. Brightline will also put up digital signs to remind people they will not hear the horns. 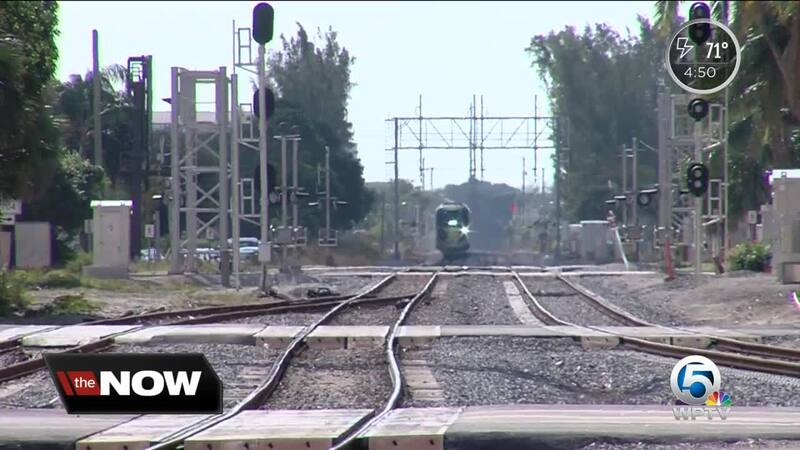 According to Brightline and West Palm Beach city leaders, trains will still be able to sound their horns in an emergency at passenger stations and rail yards or when departing from the station. Brightline said it's the responsibility of the city not the railroad to implement the quiet zones. There are five other cities in Palm Beach County that hope to do so including: Lake Worth, Boynton Beach, Delray Beach, Boca Raton and Lantana. Lake Worth is expected to implement quiet zones next week. It's unclear when the other cities are expected to implement the quiet zone.